Masons, Morticians, and Hearses Oh My!! Discussion in 'The Refreshment Lounge' started by Bryan, Aug 5, 2009. 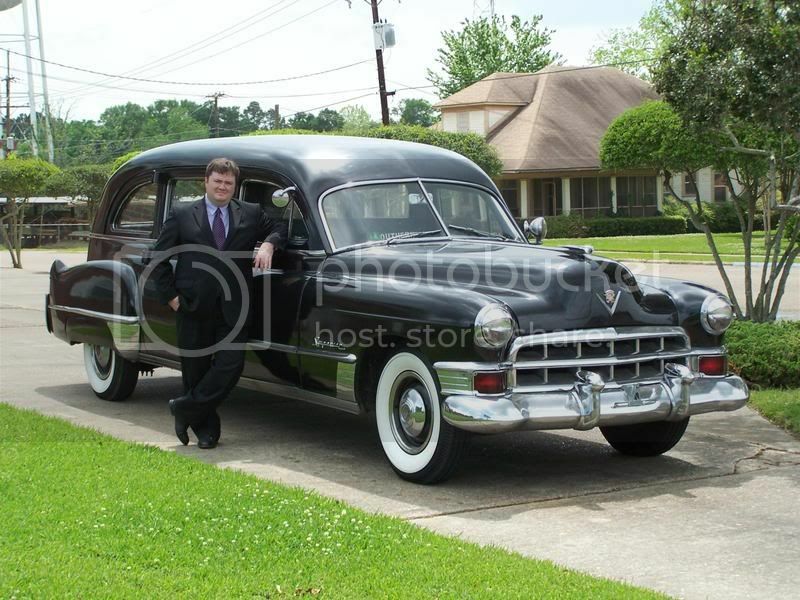 I am 4th generation funeral director in a family business. Both my grandfather and my great grandfather who also worked in the business were masons. 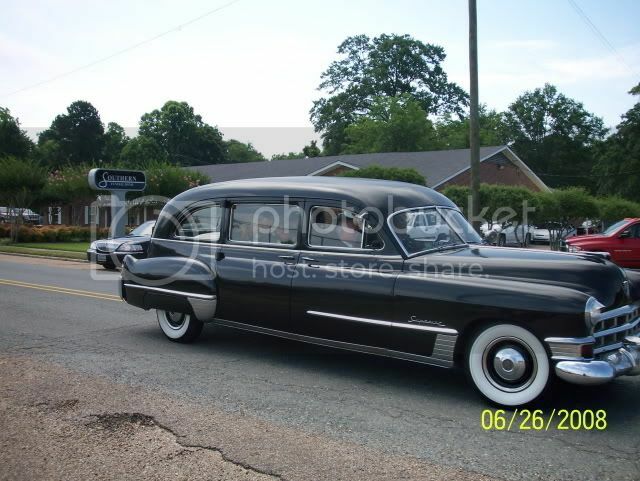 Please meet "Morticia" aka my 1949 Cadillac Superior Hearse. This is how she looked when found sitting in a barn. She spent 38 years sitting quietly before I rescued her. 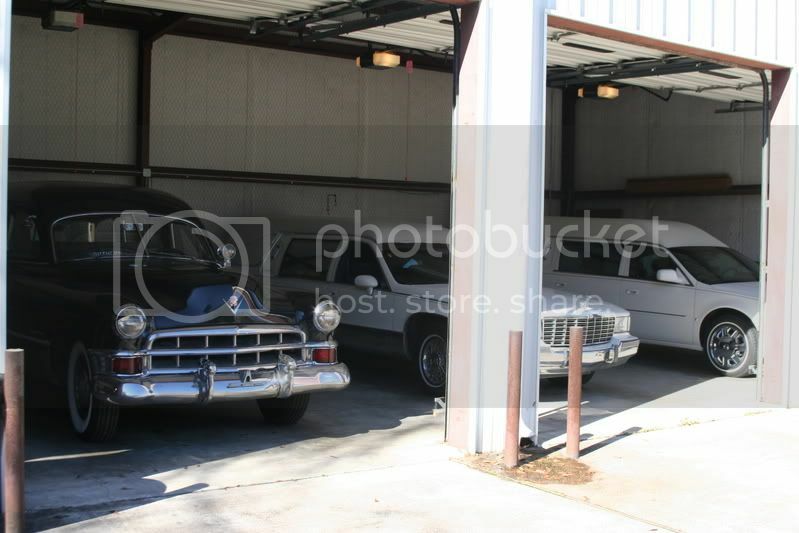 Now she keeps company with her latter decendents a 1996 and a 2007 Cadillac Hearses. A photo of my Great Grandfather Mr. R. W. Bryan, PM and founder of Southern Funeral Homes, Inc. 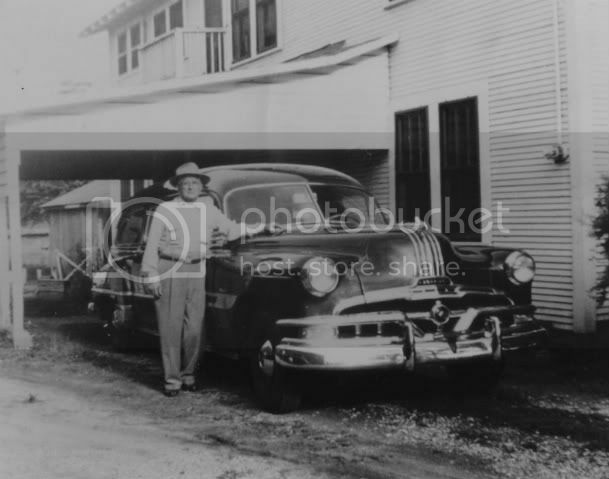 He is standing next to a late 40's Pontiac Hearse. 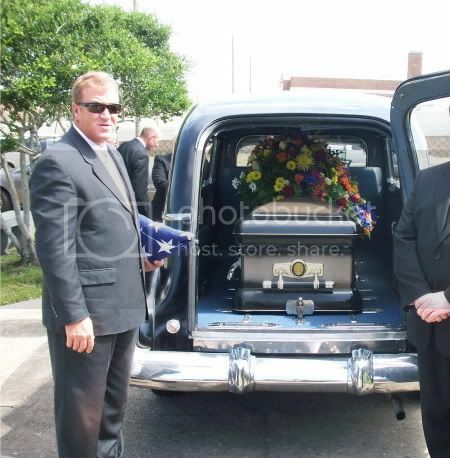 Unfortunately we do not still have this hearse. 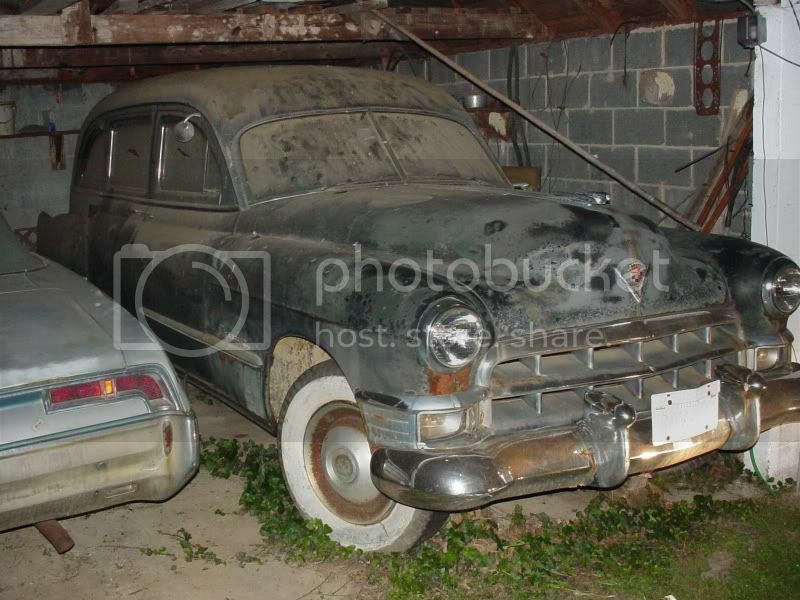 Thats a beautiful old car. Nice job in the restoration. Did you do any of it yourself? OOOOOHHHH!!! I've always wanted one of those! That's really cool. I bet that took plenty of time. 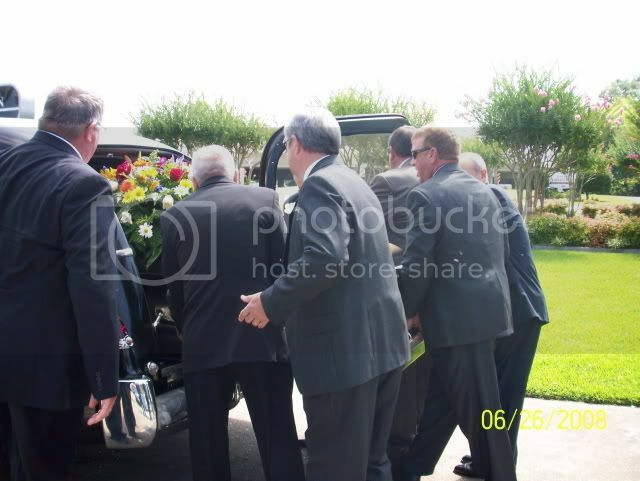 Do you have any advise for someone getting into the mortuary science field? Oh yeah.. I'm a Cadillac man all the way.